Combine and shake with ice for 30 seconds then strain into a salt-rimmed (optional) martini glass garnished with a lime slice. 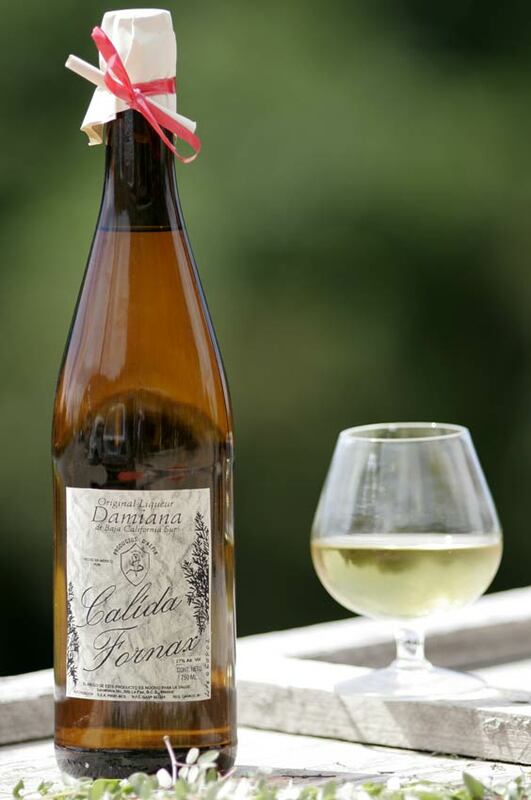 Damiana Liqueur is a light sweet liqueur made with the aromatic damiana herb that grows wild in Baja California, Mexico. The Damiana Margarita is very popular in the Los Cabos area of Mexico. 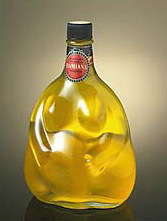 The bottle on the right, Guaycura Liqueur de Damiana, is shaped like a pregnant woman and is modeled after the Incan God of Fertility. 30% Alcohol by Volume. Imported by: Damiana Importing, Inc. There are other producers of damiana liqueurs. Damiana - the Herb - A short shrub-like bush with vibrant green serrated leaves and small yellow flowers, damiana (Turnera diffusa) grows in the Sonoran Desert, northern South America and the Caribbean.